The doctors I have on this list are the best of the best. I update the list periodically. Using 1-800- Dentist is useless because this company charges doctors to be on the list. The only criteria they have is for the doctor to pay them. I worked with each doctor on this list, I trained some of them, some taught me. Each doctor on the list I personally know and trust. 3. Myron Nevins DDS: Mentor of mentors, the teacher of teachers. In my opinion he sets the standards for Implants and Periodontics. at the University of North Carolina. He maintains a private practice limited to periodontics and implantology in Swampscott, Massachusetts. also an accomplished cosmetic periodontal plastic surgeon, and was voted by her peers as a top Periodontist. 5. Leon Chen DMD: Born 50 years before his time , the most innovative implantologist in the world “makes impossible cases possible”. rate. For ideal cases, Dr. Chen developed the 15 Minute Implant™, which is performed using the special patented drill he invented for this procedure. focusing his efforts on Implant Complication Management™. locally has served as a Medical Advisor for Las Vegas Health magazine. As of 2007, he also is part of The Peer Review for the Journal of Periodontology. Science and Certificate in Periodontology from Northwestern University. the Dental Implant Institue. 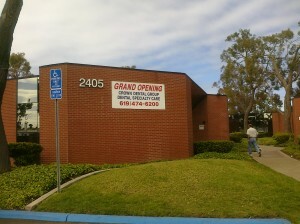 www.LviLive.com Additionally, he is currently engaged as a staff member at the Dental Implant Institute. -Bachelor of Science in Biology, University of California, L.A.